This inter-disciplinary edited volume critically examines the dynamics of the War on Terror, focusing on the theme of the politics of response. The book explores both how responses to terrorism - by politicians, authorities and the media - legitimise particular forms of sovereign politics, and how terrorism can be understood as a response to global inequalities, colonial and imperial legacies, and the dominant idioms of modern politics. The investigation is made against the backdrop of the 7 July 2005 bombings in London and their aftermath, which have gone largely unexamined in the academic literature to date. 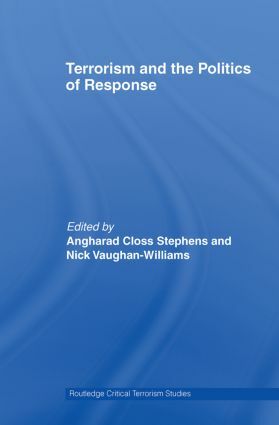 The case offers a provocative site for analysing the diverse logics implicated in the broader context of the War on Terror, for examining how terrorist events are framed, and how such framings serve to legitimise particular policies and political practices.